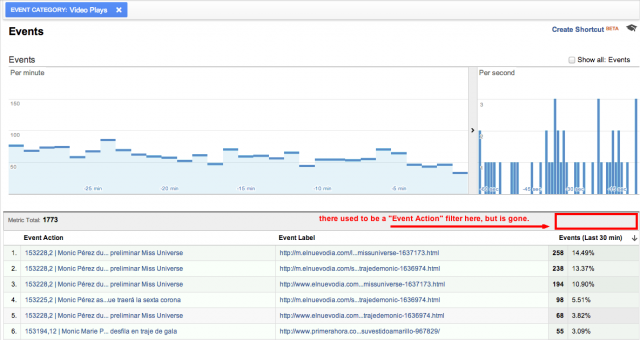 Google announced this week that events and conversions in Google Analytics Real-Time reports is coming out of beta. Plus they are adding App profiles and dedicated metrics for Unique Visitors. But what they did not tell you was they dropped the "events action" filter from the reports. 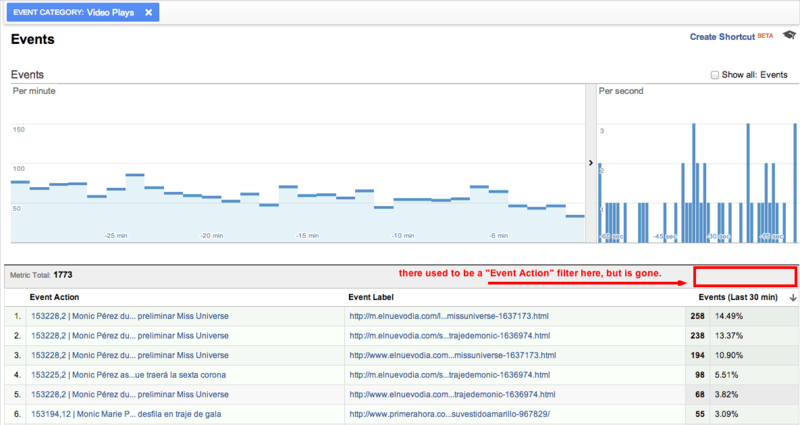 A Google Analytics Help thread has a complaints from an analytics professional who asked, "Did Google removed "Event Action" filtering under the Events in Real-Time Analytics?" Where did it go? It is unknown. Is it a bug or removed for other reasons? Unknown. 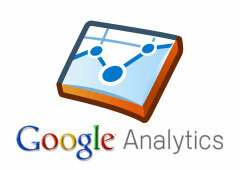 Forum discussion at Google Analytics Help & Google+.